Now that 2015 is coming to a close, our team has been talking about all the exciting things that have happened at SiteWit this past year. We have worked very hard to improve existing products and release new ones that help each one of our users get one step closer to their goal. This year has been a year of growth, and our team has added some very valuable members. Stacey (Financial Controller), Bill (Support Developer), Mikayla (UI/UX Developer), Ngoc (Software Developer) and Gabriela (Marketing Coordinator) joined the team over the course of the year to work on projects and opportunities that would contribute to the company’s growth. It has been great having them on board! One of the biggest projects this year involved bringing online merchants a product that would help them advertise their products and store on Google in just a few easy steps. Online merchants select what products and categories to advertise, and SiteWit builds smart ads that will help them get found by people already searching for them. SiteWit constantly optimizes their campaign to ensure they get the best results for their money. SiteWit’s e-commerce product was released on the Ecwid platform, and it has been a great experience so far. SiteWit’s Give Coupons – Sell More app was released on the Wix App Market to give business owners the ability to offer their website visitors unique coupons using on exit and timed popup offers. Website visitors are also able to contact the business owner, find the business location, and call them from the popup modal on the website. This helps business owners generate leads right from their website. Business owners can then contact visitors, schedule follow-ups, and keep track of progress using our Mobile CRM app to turn visitors into customers. Our SEM product has seen some great progress over the past year, and the team has worked very hard to launch an app on the Weebly App Center that would give Weebly users the opportunity to market their business on Google, Bing, and Yahoo seamlessly. In just a few easy steps, Weebly users are able to build their campaign, purchase it, and manage it. SiteWit optimizes the campaign on a daily basis to ensure the business owner gets the best results for their money. The SiteWit mobile app was released a few weeks back for iOS and Android. SiteWit users are able to keep track of their campaign right from their smartphone while they’re on the go. They can check their campaign performance, view their best performing keywords, and monitor their spend in just a few minutes. 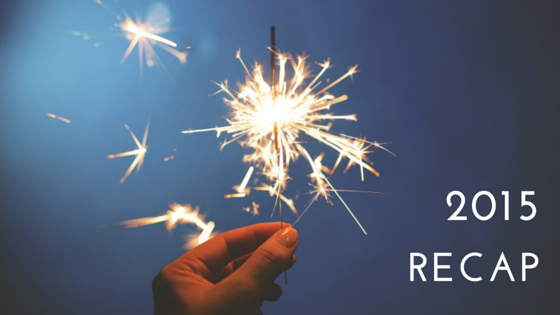 This year has been a year of growth, and 2016 is going to be even better! Our goal is to ensure small business owners reach their goal, and we will keep working hard until we get them there. We wanted to take this opportunity to thank each and every one of our users for letting us be part of their journey. 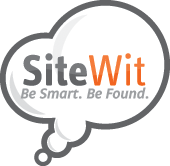 SiteWit would not be where it is today without your business. Copyright © 2019 SiteWit, Corp.